Want to Promote Your Book Locally? Continue readingWant to Promote Your Book Locally? 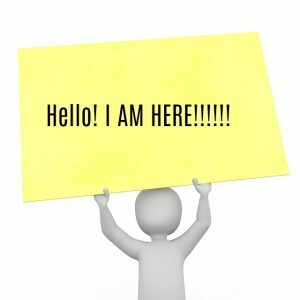 Author Platform – How Visible Is Yours? There’s so much advice available in the book publishing world and it is often overwhelming for anyone new to the realms of publishing. But, one thing you may have heard of is that of the author platform. Make no mistake, it is an absolute necessity for any serious writer and forms a solid starting point on which to build your career. The best way of building your author platform is to have your very own website. It doesn’t need to be ultra-fancy. In fact, the best author sites are aesthetically pleasing and simplistic in terms of design. You just need to direct potential readers to your site and to intrigue them long enough that they may wish to read an excerpt of your book, or, to sign up for your mailing list so that you can tempt them at a later date. Continue readingAuthor Platform – How Visible Is Yours? These days, it’s seemingly a lot easier to write and make your book accessible to the general public but that doesn’t mean it is without its pitfalls. You may have spent months or even years writing your book, so, you have to do everything that is humanly possible to put it into front of the right people. If you are seriously considering publishing a book, you need to make sure you are not making a very common mistake. Gone are the days when an author could sit back and relax on their creative laurels, feet up and just waiting for the royalties to roll on in. Nowadays, the responsibility for marketing lies solely on your shoulders. Scary? Well, yes but, you must plan out a professional plan of action if you wish to send a media shockwave out about your book launch. Too often, writers overlook this aspect of the publishing process. 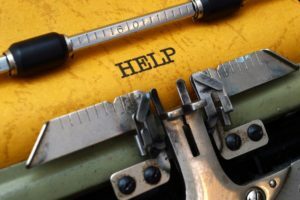 There’s a great deal of advice available when it comes to writing and publishing but too much advice can equate to confusion. I’m often asked the question as to whether writers should just write for their personal pleasure as inspiration strikes or write with a dedicated audience and marketplace in mind. There’s concern that you can’t just have unrestricted creativity if you are also planning ahead and trying to fit into a specific genre. Let’s cut to the chase and smooth away any confusion. If you wish to be creative for the sheer pleasure of it, you can write absolutely anything. Creativity means giving your imagination complete freedom and letting the words just pour from you. There’s no concern about word count or writing for a dedicated readership, it’s just about you and the whole creative process. If however, you have every intention of having your work published and for others to be able to read your stories or book, then it pays to do a little research. Who are your intended readers? What publication would you like to write for? If a book, which genre? 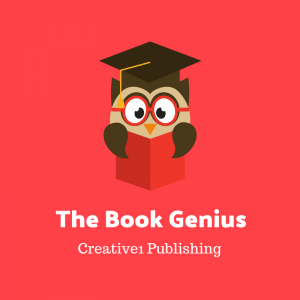 How can you make your book stand out? It’s an author’s worst nightmare. 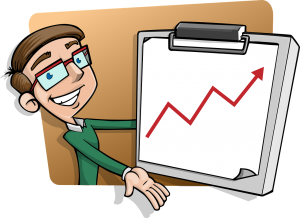 You’ve spent much time and energy writing your book and now that it is published, you’ve noticed a gradual slump in book sales. Why? There are several possible reasons but one may be that your book is in a niche that is too small. People often think if they aim for a very small and highly targeted niche, this will work in their favour but, if you only have several thousand potential readers, then at some point, your book sales are naturally going to fizzle out. This is not uncommon in self-publishing and with new authors’, after all, why would those new to publishing understand all the rules? It’s impossible, but, market size is an important consideration. By comparison, you may have published a book in a niche which is expansive and the crux of the matter is that your book just hasn’t been seen. Let’s be realistic, if your book is not visible on the first few search pages of Amazon, you are unlikely to sell many copies. So, market saturation is the problem. It is possible to make some changes which could improve your ranking but, there may well be other considerations too. The title may not grab attention or you just haven’t cracked the essentials of marketing yet. So you are in the process of publishing a book and now, you have suddenly realised that you need to start marketing it. But how? There are so many options available to authors these days but the cost of publishing a book and making it visible to potential buyers can be quite high if you rush into the process without having a plan. Writing, publishing and marketing generally can seem a little overwhelming if you are fairly new to the industry but don’t worry, instead of trying to do a little of everything, choose two or three book marketing plans and build your strategy around them. 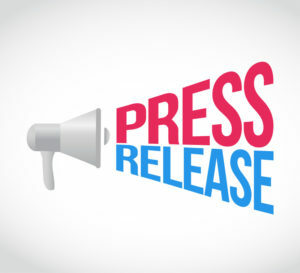 Press releases can be surprisingly useful when it comes to book marketing but often, new authors fail to use a press release because they do not consider it suitable for the average person. Press releases may appear synonymous with celebrities or for large corporate companies but the average person, yes, the humble author can make use of them too. If you are after a traditional publishing deal, there are many reasons as to why your book might get rejected and it may have nothing to do with the quality of your words. While it is important to make sure each word has been highly polished, your storyline or topic could be the reason as to your rejection. If the theme is all-too-familiar to the agent or publisher, there may be too many books all vying for publication. Following the Harry Potter book success, publishers were inundated with variations of this theme. Writing a book is hard work and this doesn’t stop when the last word is committed to paper. It’s important to research for the best agent or publisher to approach. Not all representatives in the publishing industry are equal. They must be familiar with the topic or the genre before considering representing you. Place a manuscript in the wrong hands, and a rejection slip is likely. So, you’ve written a book and are now in the exciting stages of publishing it. But then what happens? It’s often a misconception that new books will fly off Amazon’s (or other) proverbial shelves and the author is sent, hurtling towards millionaire status. Sadly, it’s highly unlikely, even if your book is beautifully written and word perfect, unless you are a well-known name and, even then, the odds are stacked against that type of success. 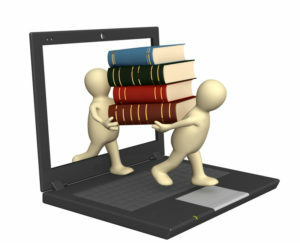 So what can you do to make your book perform well? The answer is simple. 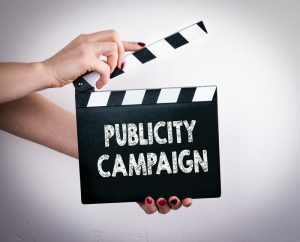 Get some good publicity going. Tell the world about it before you even publish it… if you can. Don’t worry, if you’ve already pressed that button, it’s never too late to start promoting but you do need to throw yourself whole-heartedly into the process. Sounds easy doesn’t it? But stay on track. You must always remain focussed on all that you are trying to achieve. There are so many options available to you but you need to consider what will work best for your book? How much time can you dedicate to book promotion? Would you prefer to hand over the marketing aspects to someone else?